Rare and important poster done by Stone lithography in 2 separate sheets one on top of the other which is just Blue. 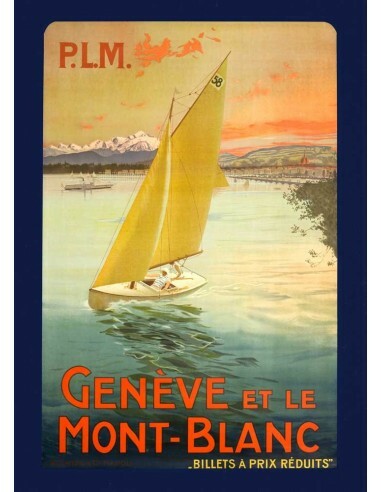 View on to Lake Leman with Mont Blanc in the backround is a rare and beautiful poster which has rarely come up for sale. 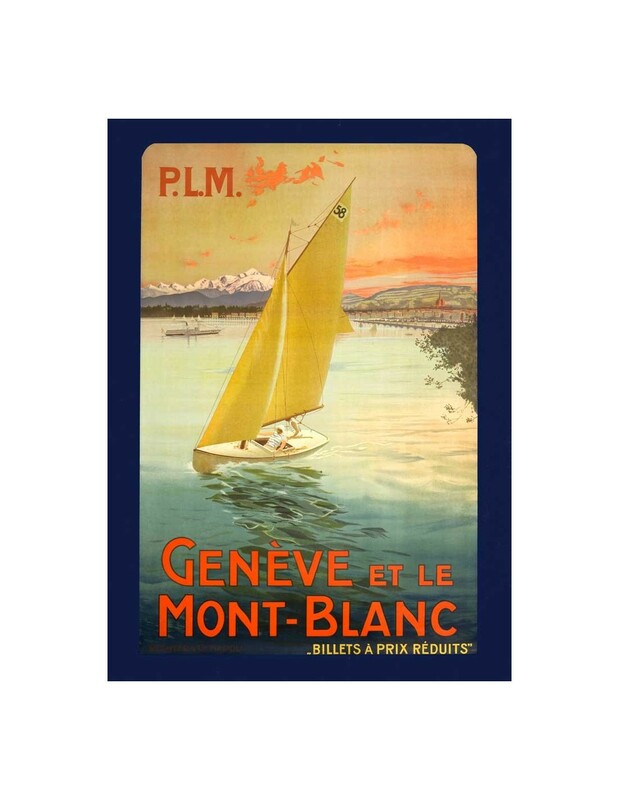 RARE poster which never comes up for sale, done by way of Stone Lithography by one of the most famous printers of the turn of the century Ricordi. Excellent condition RARE ! !